Akira loves erasers, and he made the animation film "Eraser Wars" based on stories and designs which he had created since being in the third year of elementary school, and presented the film to the public in 2017. It was screened at countless Film Festivals including Yubari International Fantastic Film Festival and received many awards in festivals. Akira is 13 years old and in the second grade of junior high school now. The film revolves around a group or erasers, whose planet is about to be destroyed, and they are tasked with finding another suitable planet for the rest of them to lιve. As they search across the universe in their spaceship, they are attacked by a creature named Zeru, who damages their vessel, and forces them to land on his planet. A battle between the erasers and creature ensues. 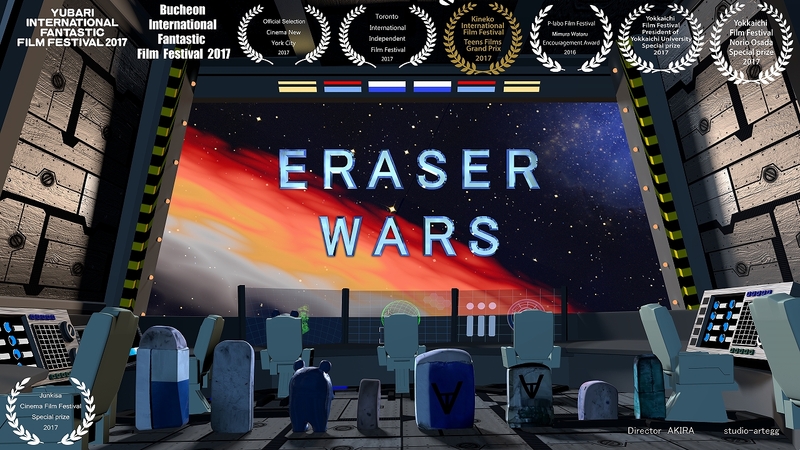 The short is quite good, both in conception (the protagonists being erasers is a hilarious concept that, somehow, manages not to appear ridiculous at all) and implementation. The combination of Akira's direction, design and editing, with Hiroaki Tanaka's CG animation and Artegg Yumi's music (she is actually Akira's mother) result in a film that functions much like a video game, with the focus being on the battle, where all of the aforementioned aspects find their apogee. The design of the erasers is simplistic, but the one of Zeru is quite impressive. "Midnight" is a spin-off of "Eraser Wars" and involves the character Sky along with the witch Shaula, both erasers. The story takes place in the city of Zorateta, where the forest that embraces the city used to be a popular destination for those who wanted to escape the heat. However, after a fashion, a number of youths disappeared in the area, and the local government was forced to prevent entrance to the place. Sky, a hunter specializing in hunting monsters, eventually teams up with Shaula, a magician. The two of them end up fighting the culprit of the disappearances. 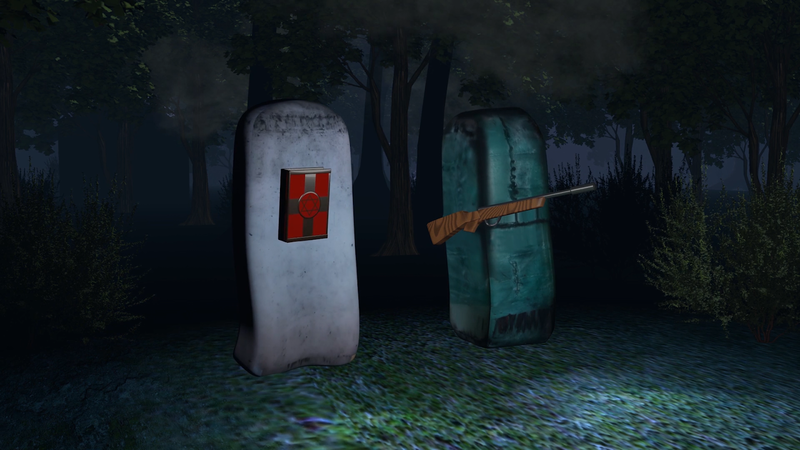 "Midnight" aesthetics are much similar with "Eraser Wars", although in here space and science fiction give their place to the forest and magic. Akira's script is also a bit more complex, as it includes a story about a cult. The focus though, remains on the battle, with the villain being the most impressive aspect of the drawing and the 3DCG animation (which used actual erasers as its basis), with the latter finding its apogee in the two battles of the short. The combination of Akira, Yumi and Tanaka works quite well once more, while the presence of Hinako Saeki and Kayo Hoshino's presence in the voice acting adds quality to the production. Overall, Akira shows real talent, especially considering his age, and I would really like to see him directing a feature CGI animation in the style of the Final Fantasy ones. This combination of animation and live action (through green screens) was self produced by Artegg Yumi and it took 6 years and the help of 130 people to complete. It is based on a hand made picture book. Kohtaro is a 7-year old boy. He lives with his Mom, and his raccoon robot Pon, in a spaceship shaped like a merry-go-round. One day, he somehow becomes separated from his mom... He ends up heading for the Chocolate Star with his companion Pon, but over there also awaited them an event so big that it would shake the whole star and its inhabitants. Once he gets there he meets Wave, a boy-robot; they become friends and start a wonderful adventure. The film functions as a mother's tribute to her son, with Akira, Artegg Yumi's son being the protagonist. In that aspect, the animation is filled with bright colors and cheerful drawings, both in the characters and the background and a number of concepts that appeal to children, like the planet made of chocolate. Yumi has not neglected including some action, with the three characters trying to get away from some robots and some drama. Through all this, Yumi highlights the value of cooperation and the importance of children imagination, in a spectacle that quite frequently functions as an educational program. At times, "Kohtaro in Space Wonderland" shows its lack of budget, but the issue is "hidden" under the love emitted from its every aspect. Quite a different short than the rest in the article, since it is an experimental live-action one and emits an aura of surrealistic introspection. Singer Yui is roaming the streets of New York visiting libraries, museums, cathedrals and train stations. Eventually, she meets a woman in a library named Mika and the two of them fall in love and sight, and start walking around the city together, although Yui seems a bit lost. 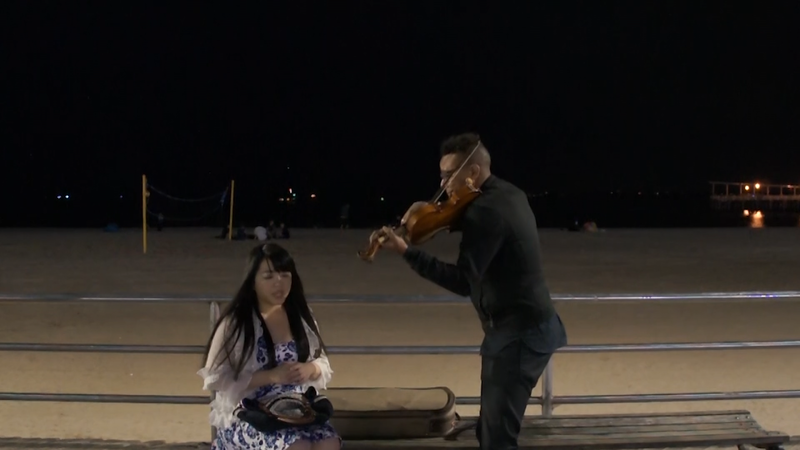 As the intro scene implies though, something not very natural is occurring, and a violin player seems to play a role in it. Artegg Yumi implements a rather unusual approach, in a film that lingers among the tour guide, the music video, and the supernatural drama, with the surrealism and the eeriness permeating all of its aspects. 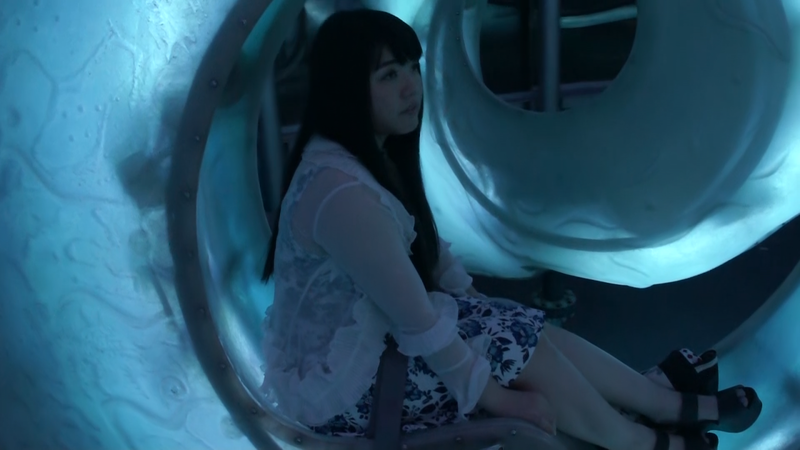 This sense is heightened even more by Yumi's editing, which occasionally makes the characters appear as if being in different places, despite the fact they are actually together, and the music, again performed by Yumi, along with Ma*jid. The build up of the narrative is quite good, as the initial perplexity about the characters is eventually resolved, with the film taking a whole new other turn. Yumi shows some potential in the art-house experimental film, although the underlying sense is that of a horror, and I think that she should invest more in that aspect.